We talked last week about “what to do with the paper”. 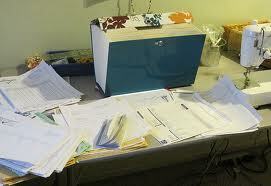 After you have sorted through your paperwork, you will also need to throw things away. If you are a fan of my “Order Your Steps” facebook page, I sent out a link from the Container Store called “Document Storage Guidelines”. The most CRITICAL factor when discarding paper is your privacy and identity. You want to be very careful not to give thieves access to your personal information (although with the Internet, you wonder just how private is private). … You want to have a “Shredder”. DO NOT get a cheap one! My husband, I mean “we” bought this one. You can see the piles of “personal data” which needs to be shredded. Now DON”T buy a shredder if you don’t intend on shredding the paper. But once you invest in a Heavy Duty Paper Shredder, that you are going to use, I would suggest that you put it where you sort your mail and or your home office. Toss the junk mail immediately. Put it in your recycle bin, if applicable. Put your personal stuff, i.e. the millions of credit card offers in your shredder or in a “to shred” bin (like the blue one). Place the bills, letters or other mail that requires your attention in a designated place. Establish a specific time to go through this mail, so that it DOES NOT PILE UP. It can happen very quickly. It is also my understanding that there are shredding companies that will pick up and or shred your paperwork at your home. I believe that many charge “cents by the pound”. There are a few other things to consider when you throw away paper, you want to make sure that you don’t have addresses, phone numbers, etc. hidden among your paper. 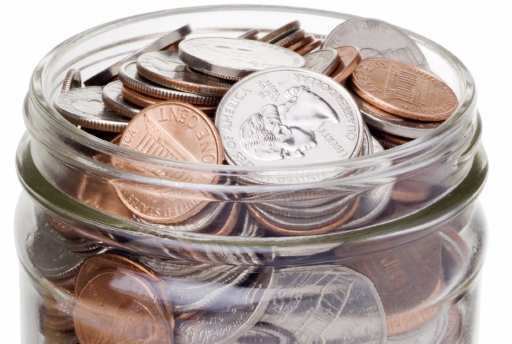 Lastly, you want to be prepared for Tax Time, which is closely approaching. It is a lot better to prepare throughout the year. You want to have a special “Tax File” to put anything pertaining to taxes, so that you are ready when Tax Season is here! April 15th is less than a month away…. This entry was posted in Professsional Organizing and tagged Identity theft, junk mail, Paper, Paper shredder, personal data. Bookmark the permalink. It’s free flowing. You feel free to plan away! Stay in your comfort zone! Thanks! I am probably overthinking it…. No not me! !